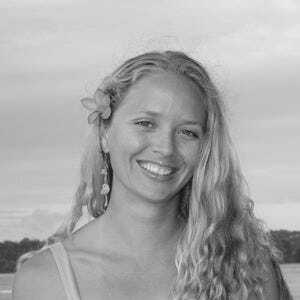 Don't let family vacation time intimidate you, travel with the whole crew and stay at a family friendly hotel on Kauai - there's plenty of them. 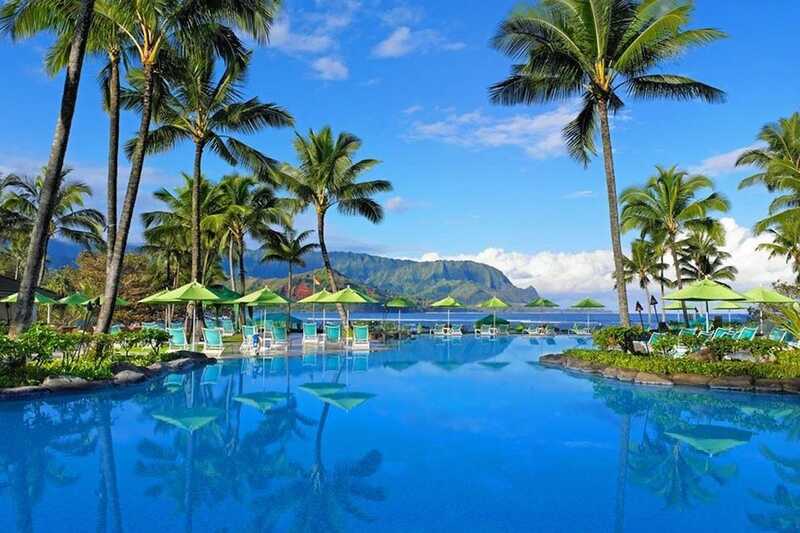 Kauai is definitely a family friendly island, and it shows in the wide selection of hotels and resorts that cater to parents, small children, and even teens. Each side of the island have options to choose from that will make the whole family happen. Whether you're looking for a large resort to relax at for most of the trip, or a place to leave your stuff while the family explores the island, 10 Best has you covered. 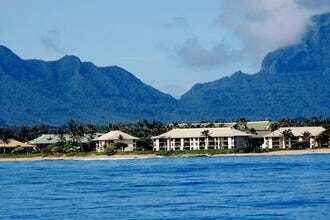 The whole family can live in the lap of luxury at the St Regis Princeville Resort just outside of Hanalei. Children can have a great time at the pool and parents can even have some alone time or a date night at one of the many on site classy restaurants thanks to the hotel's babysitting service. There's a multitude of off site attractions that everyone will enjoy in close proximity to the resort. 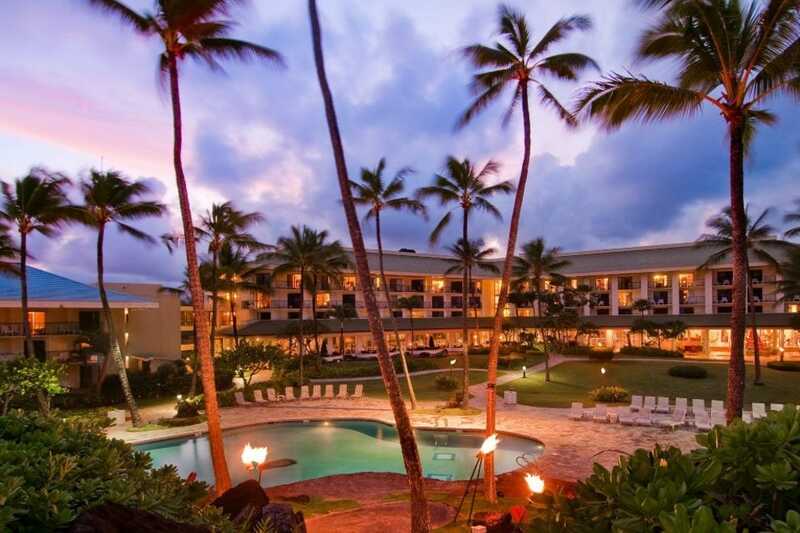 At the Marriott Kauai Beach Club Resort Lihue, you'll drink in the skyline and the busy town's sights and sounds at the same time as relaxing in paradise on a beach. The two huge pools will keep the children entertained, as well as surf lessons at the beach out front. Our list of the 10 Best family hotels will guide you to the perfect place for your family. 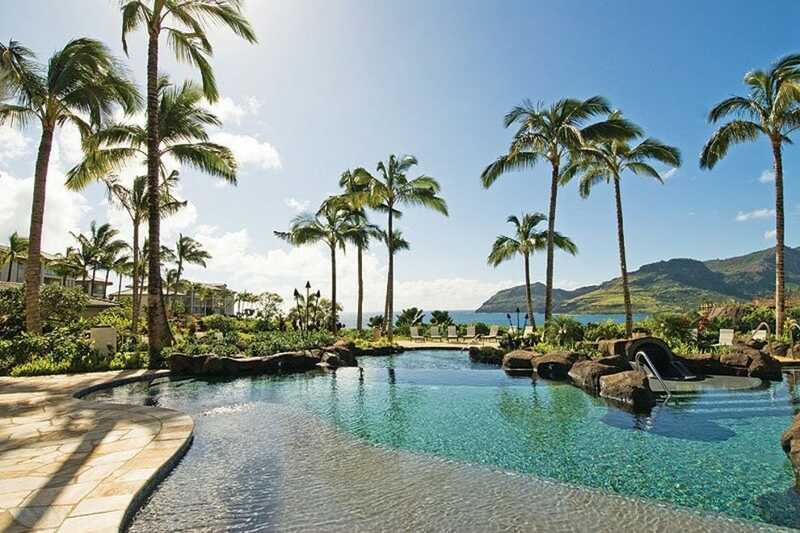 Overlooking beautiful Kalapaki Bay, this resort is fronted by a huge beach and has two smaller ones nearby. 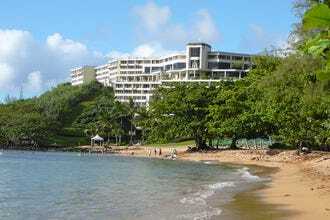 The amazing resort makes a home on hundreds of acres over the bay and is home to almost 600 rooms. The world class Kauai Lagoons Golf Course is here too, offering an amazing 18-holes of golf. 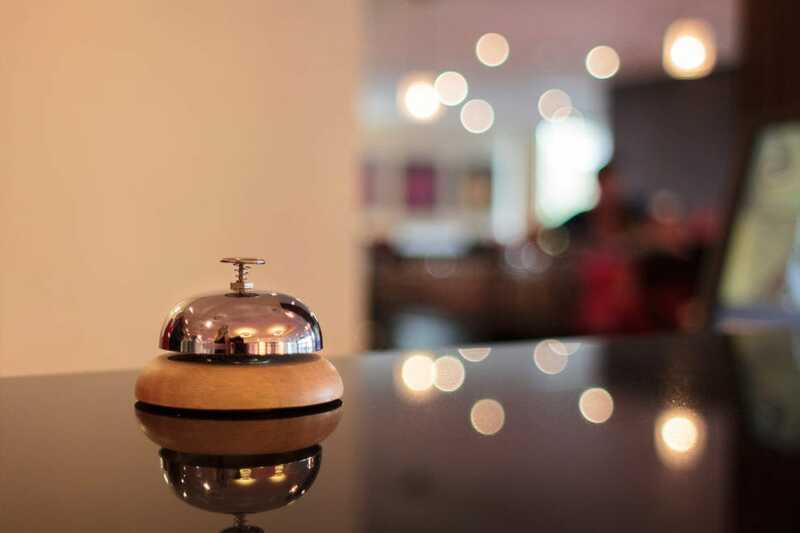 The hotel conveniently offers a complimentary shuttle to and from the airport. On site you'll find a spa, fitness center, six restaurants, as well as the option of private cabana dining. There is a huge, centrally located swimming pool where you can easily spend the entire day. The offer on site child care, and it's within walking distance to other shops and eateries. 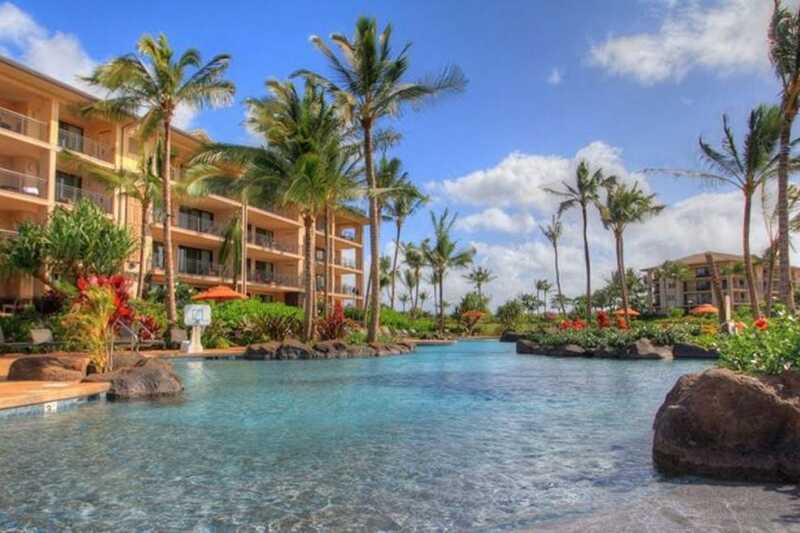 Oceanfront condos are the attraction here, and on site treats include a heated pool (yes, even in Hawaii that's nice), a hot tub, and barbecue area. The individually owned units have free wireless internet, jacuzzi tubs, and are all well kept. Because their individually owned, the decor varies but it's all well kept and usually island style. This is an ideal place to stay for families, and those looking for an extended stay. It's home style and affordable, and still top quality. 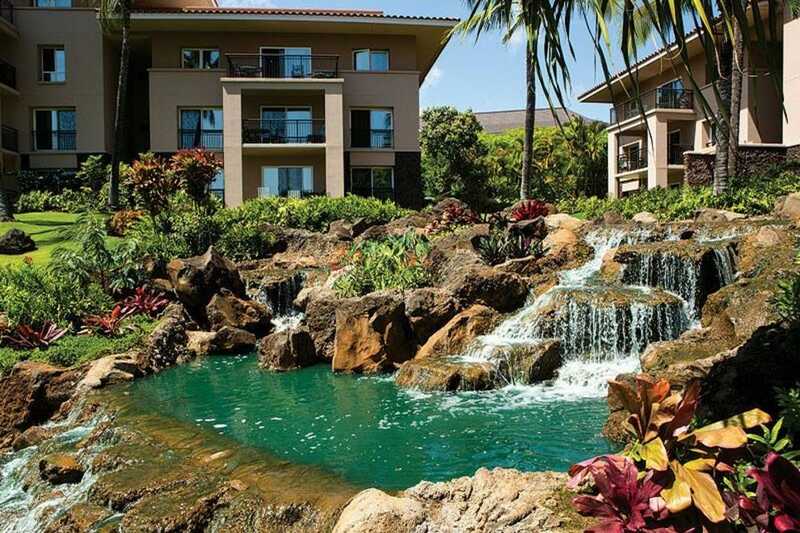 Amazing Kauai attractions like Spouting Horn, Poipu Beach, and surf lessons and snorkeling are all extremely close to the condos. Located on the beach in Lihue, close to Lydgate Beach Park and Kealia Beach this is a smaller scale hotel at around 350 rooms. There is no extra charge for those 17 and under, making it an ideal family hotel. Recreational amenities include an outdoor pool, a health club, a spa tub, a sauna, and a fitness facility. Spa treats include spa services and massage and treatment rooms. A complimentary airport shuttle is offered round trip, and it's centrally located just a short distance from a huge array of shops and restaurants on the east side. Centrally located on the island, island wide attractions and beaches are all within a quick drive from here. The St. Regis Resort will make you feel like royalty while staying Princeville. Resting above Hanalei Bay, the ocean view rooms all have a full view of the gorgeous bay, while the garden view rooms gaze at the lush green mountains of the North Shore. Several amazing white sand beaches are nestled along the coast in front of and near the resort, and it offers both and adults and children's pool. On site child care is available here and there's plenty of dinging option for family meals or romantic evenings. This resort is perfectly located to either relax on site with all of the great things to indulge in, or venture off the property to other awesome attractions and activities, all just a short drive away. 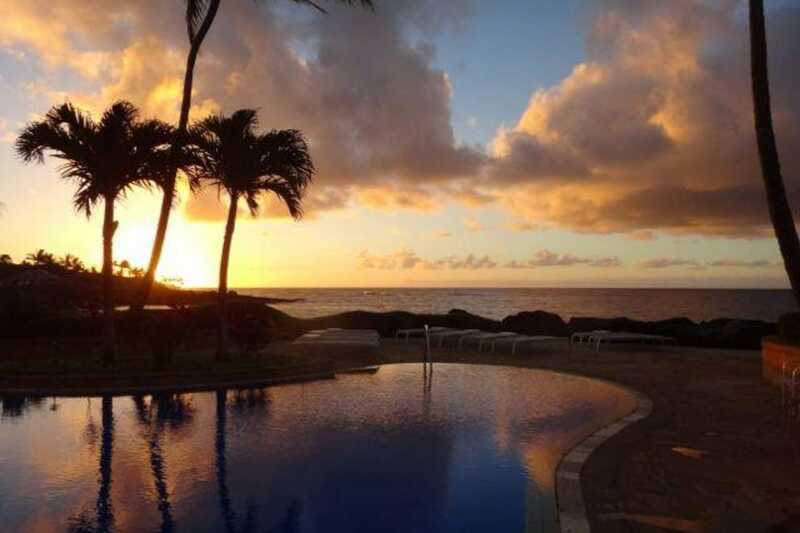 This resort lies along the ocean, ideally places on gorgeous Poipu Beach. With a total of 394 rooms, the hotel boasts an upscale island style theme. Each room has a private lanai (porch) and there are two freshwater pools on site. Although it's classy and elegant, the hotel's decor is not over the top luxurious. 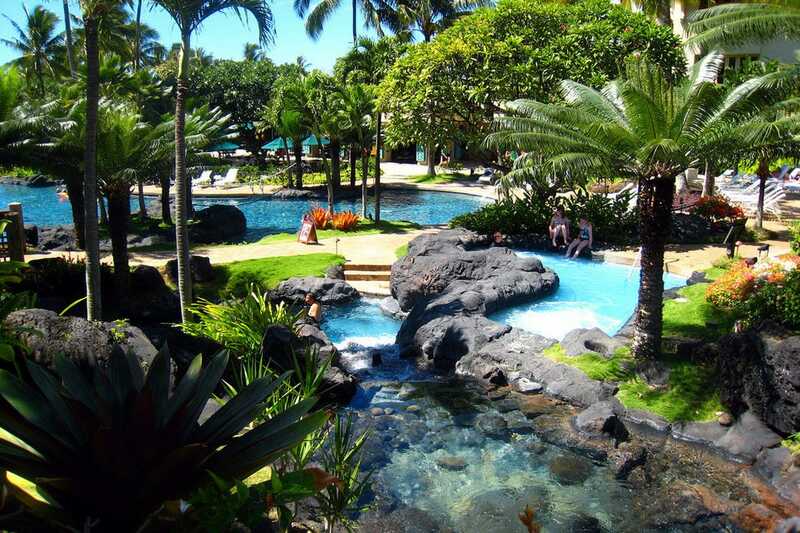 One of the pools is right near the beach and has a hot tub, while the garden pool is slightly inland and surrounded by exotic koi ponds and a waterfall. Both pools have smaller pools for small children, and there is also on site child care. 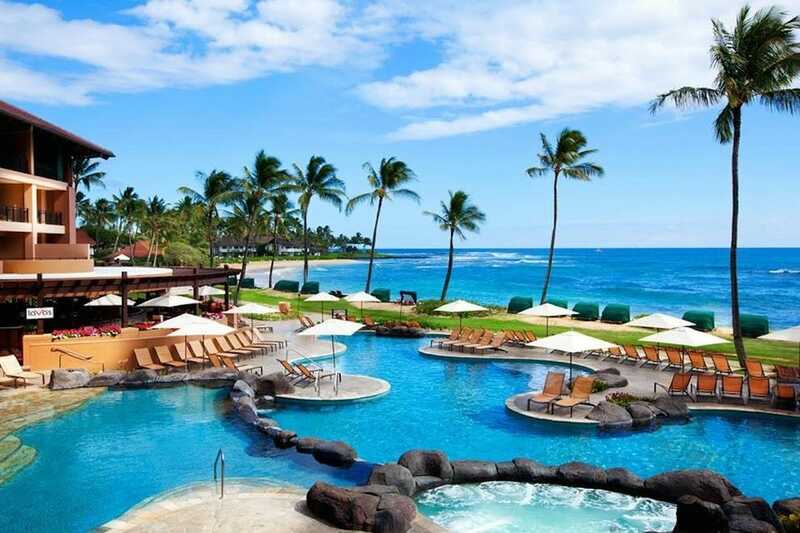 Located in sunny Poipu, this resort is simply grand, as teh name states. Recently renovated with top of the line additions, the resort is beautiful, modern, elegant, magnificent and luxurious in just about every element. The four level hotel is home to 602-rooms, and it's not any taller than the palm trees outside. On site are four restaurants, lounges and bar offering night time entertainment. There's plenty of shops here, and fresh and saltwater pools with slides, waterfalls and whirl pools will keep the children entertained for days. You can kayak in the resort's lagoons, and on site child care frees parents for some time to romance. It's also just minutes form amazing beach and other natural wonders. 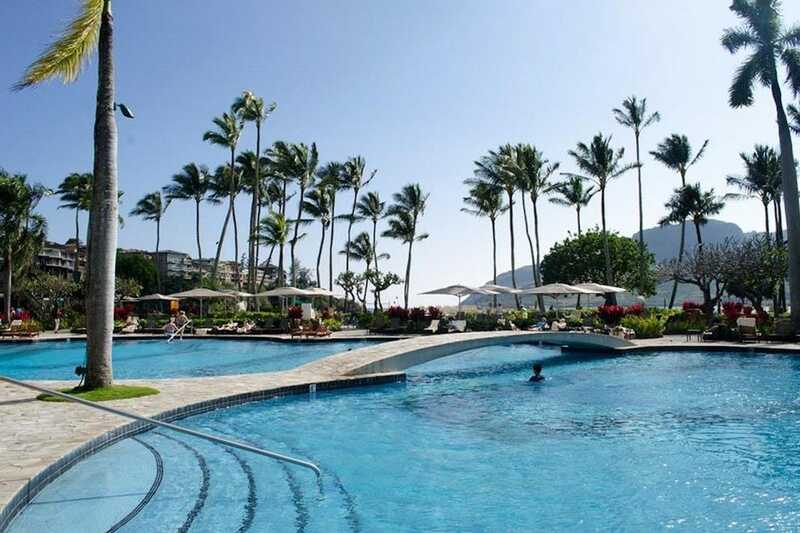 Located on the island's south shore alongside Poipu Beach, the deluxe resort villas offer a choice of ocean views or tropical garden and resort views. The one to three bedroom accommodations offer luxury resort amenities including, separate living and dining areas, full kitchens, in-suite laundry, Hawaiian inspired artwork and spacious open-air lanais. Resort amenities include a gourmet marketplace and deli, lobby bar, two lagoon pools, two hydro-spas, lush landscaping with cascading streams and waterfalls, fitness center, business services, direct walking access to adjacent dining and retail outlets, on-site activities desk offering a host of activities from water sports to nearby championship golf. An ideal place for extended stays.